The official global event of the "real life game" was organized on 16 different cities with participation of over 3500 agents. Glad to say, Kathmandu was also one of them with 12 missions of which 6 has to be completed to get a mission badge. The missions which will also be available in future were live few hours ahead with NTB logo at the bottom. 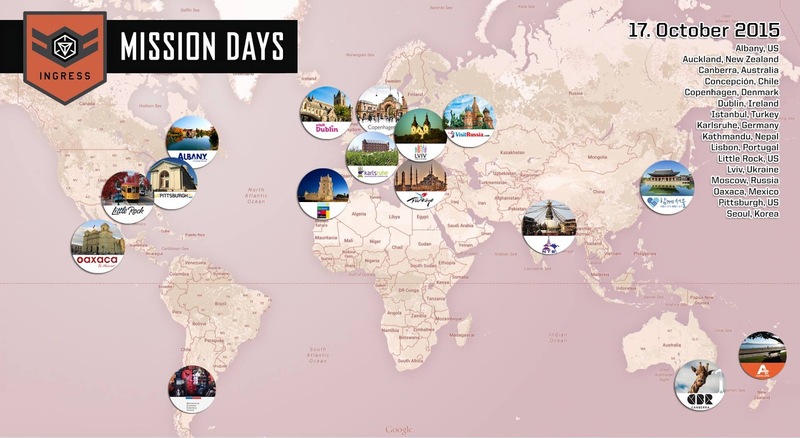 #MissionDay was aimed to provide new high quality Missions in collaboration with local tourism boards for everyone to discover the city together. 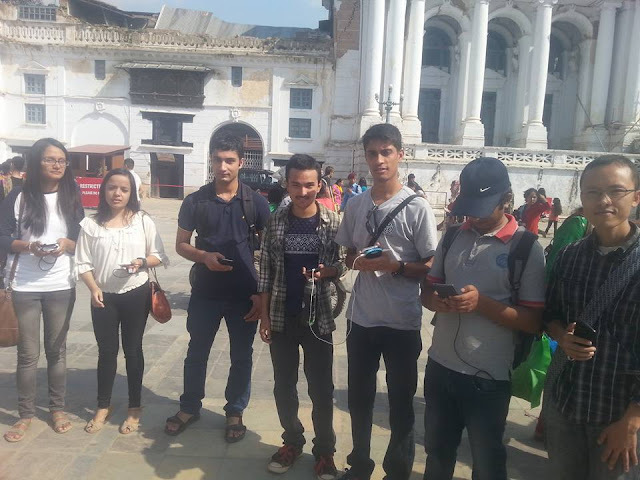 The event on Kathmandu was organized on Basantapur area and started at around 11:30 AM and the team started hacking portals. It was real interesting to play the game and also exploring some places which I had not visited before. Most of us completed 6 missions and had a good time on a nearby restaurant with lunch and talks. It was nice to be a member of a good community with awesome tech people. 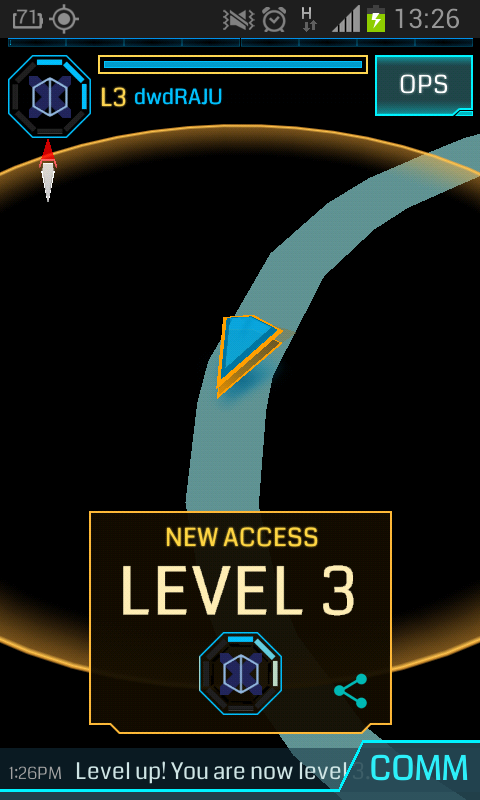 I am very thankful Samit bro for helping me to understand stuffs while playing/completing the missions. I couldn't stay quite as it was very interesting and also a way to explorer new places. Visit to Boudhanath stupa area and Pashupati on the next day helped to get to level 3 and currently I'm near to next level. My first attack to The Enlightened was on Chabahil Stupa and second on Pashupati but couldn't get that completed. Its is an augmented-reality GPS based game with google maps based interface created by Niantic Labs which has a complex science fiction. The game takes place in the real world so you have to get out of the house to play. It could be a good way to get rid of distraction from engagement in the real world because of social media and video games. The players need to visit landmarks which are called portals that could be sculptures, public parks, and famous attractions, local heritages. There are two sides: The Resistance(Blue) and The Enlightened(Green) both of which tend to ‘capture’ the portals for their side. The Resistance seek to battle the forces struggling to protect humanity and preserve freedom whereas The Enlightened who seek to evolve mankind to a higher level with actions to uplift humanity with physical presence in the real world. You can choose either side only once and start rocking with in-game badges and explore portals you’ve never visited before. You can also join Ingress Nepal via Facebook, Twitter, Google+ or newly launched website: ingressnepal.org. 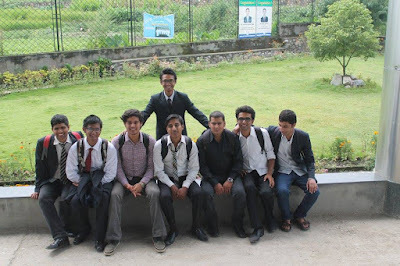 It was last day of 3rd year of Engineering and with some special-ness because of final defense of project. Presentation, reports, demonstration all turned out well and there was something to do as farewell. After spending an hour discussing about future projects and other relevant talks, we decided to go nearby cinema hall and watch which ever the movie is there as none of us were familiar with current playlist. There were 3 Nepali and a Hindi movie. As we were there just to enjoy some 2 hours and had no expectation for goodness, so I voted for a Nepali movie for even promotion of internal product but there was just 25% vote on the selection. At last, with some foods, we started watching a Bollywood movie "Hero". Though I was acting like opposition at beginning with some criticism, the movie turned out to be so boring after some 15 minutes that some of us got out of the hall and entered another hall. I don't know if its allowed or not but thank god, there were no guards or any staffs around and some seats were empty. With some expectation, we started watching a Nepali movie in the new room. We were not sure about the name and also couldn't ask people around about that :). It was fine till the interval (we were there 20 minutes before half) but after that it turned out to be so boring that there was nothing left to watch except our college building on background of a scene of Chyasal Play Ground which last for about 10 minutes and boring dialogue between just two actors. We guessed the shooting was done about 3 months ago analyzing the environment. It was no different than movies before 10 years. After returning back home, I ROFLed watching the trailer. Actors were running like some big thing is going to happen but it was just a scene for song. Except one or two funny scene, its worth watching Nepali movie of 2000. After finishing the Nepali Movie, we again entered the previous hall with "Hero". I had some expectation that Bollywood movie would be somehow watch-able but there was nothing interesting. We crack up saying "Sas-Bahu hindi serial would be nice than this". The whole movie was around the two main actors with their debut. We made conclusion "Producer Salman Khan might have invested in the movie without expectation of any return." Getting chance to watch 2 movies with a ticket is funny but none were interesting is worst part. Before few days, there was news of selection of "Tulke vs Talakjung" to be sent for nomination on Oscar. The Best Foreign Language Film Selection Committee, Nepal, has chosen it as the entry to 88th Academy Awards. It was the last Nepali movie I had watched and funny thing is one of my friend got asleep while watching. It was related to the war time of Nepal which recovered the ticket cost :). Now I got the reason : why "Tulke vs TalakJang" was selected for Oscar. Because there is no movie with some quality and can be spent 2 hours fruitfully this year. 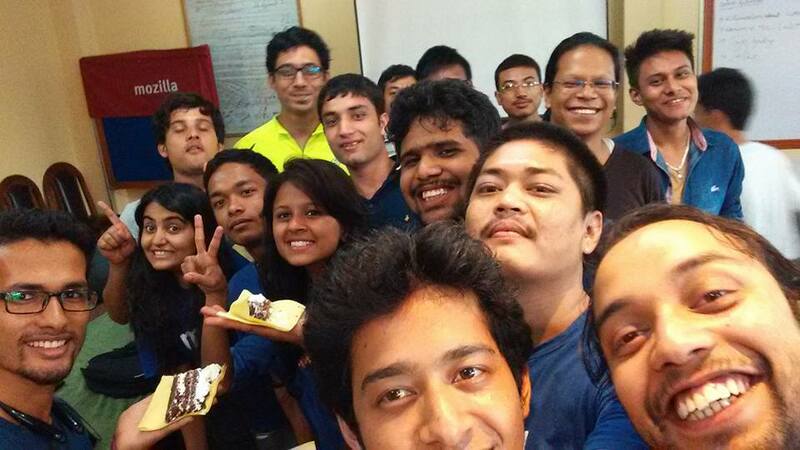 This week, we celebrated the third anniversary of of Mozilla Nepal at Sap Falcha with lots of open source & open web enthusiasts. We thank all our members, contributors and well wishers for their continued support. 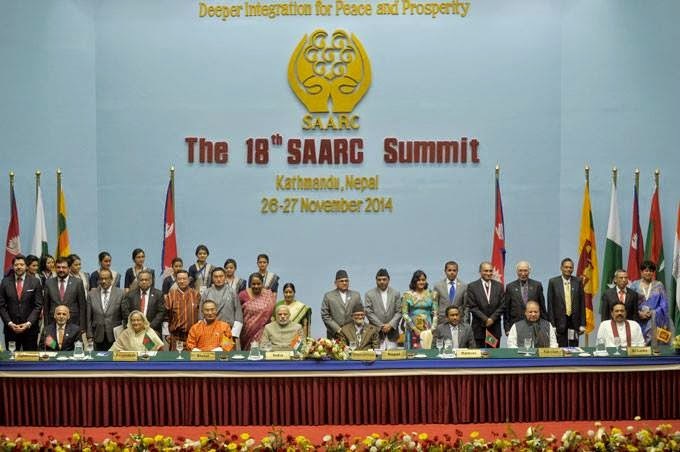 18th SAARC Summit: Was it really a Flop Show? The 18th summit of the South Asian Association for Regional Cooperation (SAARC) concluded in Nepal's Capital Kathmandu with high expectation but less outcome. Though the three agenda namely energy, rail and road got more highlights in the 2014 summit held after three years but only energy agreement has been signed up after Pakistan, the second largest member country in SAARC opposed, citing of its internal issues which made the inter-connectivity between SAARC countries indefinite. 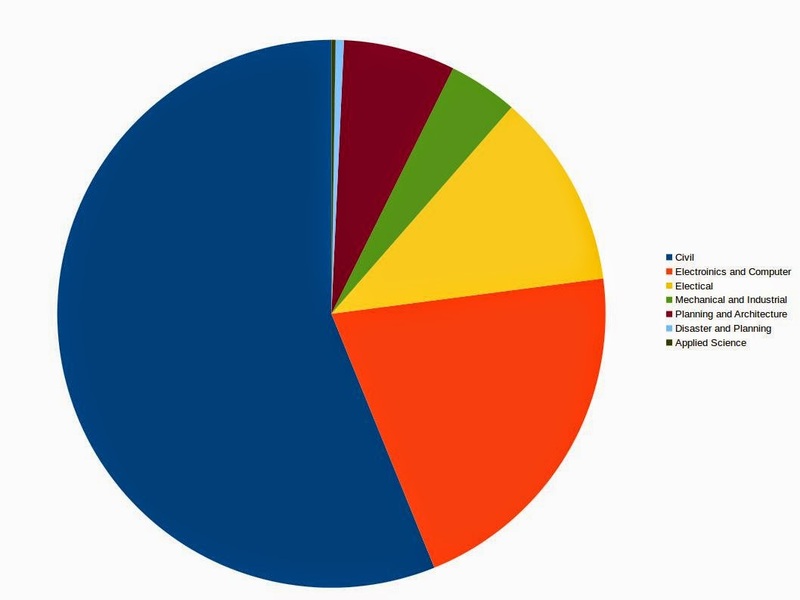 The energy agreement has laid background to share electricity among the member nations through a common grid which seems to be helpful to Nepal in paving way for the electrical energy development which is facing half-a-day load shedding in winter. The recent SAARC Summit had much more expectation not only because of participation of India's Prime Minister Narendra Modi, but also of the growing relation between the 8 Asian countries which turned out to be a "Flop Show" with happy ending of handshaking of PM of India and Pakistan in City Hall in the capital. 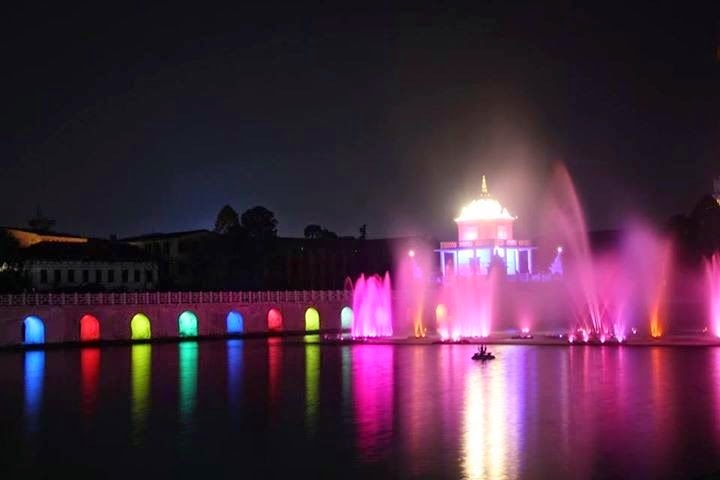 On the other hand, Nepal seems to be proud for hosting the mega meeting successfully with well decorated $20 Million facelift of Kathmandu and without any unexpected circumstances during the meetup. Also, Indian PM handed over a helicopter and inaugurated Trauma Center whose construction was completed years ago with Indian Government's financial assistance apart from the soil testing mobile van. 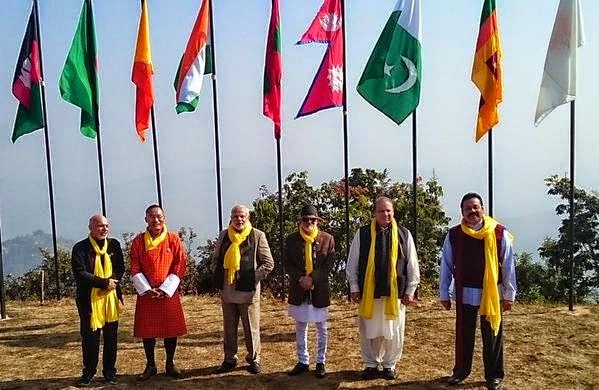 With member nations Nepal, Bangladesh, Pakistan, India, the Maldives, Sri Lanka, Bhutan and recently added Afghanistan, SAARC is dominated by rivalry between Pakistan and India which split over in the 18th edition of the meeting. The issue of adding permanent members in the club remained silent with none of member heads got straight on the issue though Nepal's Prime Minister Sushil Koirala was expected to take lead of bringing China inside which currently is the observer and had shown interest over the subject promising $30 Billion investment in infrastructure development and 10,000 scholarships for young South Asians. The meeting themed “Deeper Integration for Peace and Prosperity” held on 26-27 November made no major breakthroughs with no concrete decision relating to terrorism, health, poverty and economy. Even the medias gave much highlights to the meet between heads of India and Pakistan who could not have concrete talks on any important case. SAARC has been on controversy since 30 years for not being an effective club rather than the occasional meetups for mingling with each other which repeated this time too with lack of trust among the member nations. The remaining two issues related to road and rail are scheduled to be discussed on foreign ministers meeting which will be held six month later whereas the next 19th meetup is set to be held in Pakistan in 2019. So, don't you think the 18th SAARC Summit was a "Flop Show"? For the preparation of upcoming SAARC summit in Kathmandu, most of the major streets are equipped with solar lights on the way from Tribhuvan International Airport to Maitighar, Thapathali to Soaltee Mode, Maitighar to City Hall and Tundikhel to Ranipokhari, Tripureshwor to Jamal. The government has spent about Rs 680 million for city beautification project. A basic unit of solar-powered street lamp, including lamppost, solar panel, battery, and bulb, costs around Rs 55,000. The LED bulbs can give about six hours of full backup lights that could make the city bright even at the time of loadshedding (But we will have more than 10 hours of loadshedding in coming days :) ). As most of the public property (some over-hyped) are damaged in many ways because of lack of security and responsibility of concerned authority. Even general people destroy public properties intentionally even in the name of protest for bringing about social and political change. In such context, do you think the solar lamp will remain as they are now for next year? In an event organized on the occasion of Education Freedom Day at Smart Samaj, I had asked a question to the community representative of Nepal for Wikimedia Foundation “Is there any chance of Nepali Telecom operators adopting Wikipedia Zero?” The answer was we have to wait for long time. But I got surprised and excited from this news on Republica Online today, few month after the event. Ncell which is second largest internet service provider in Nepal has finally joined hands with the Foundation and launched the ambitious project launched to reduce barriers to accessing free knowledge via world largest online encyclopedia. This is a great news for technically emerging countries like Nepal. From May 7, 2014 onwards, Ncell subscribers having smartphone can access Wikipedia contents absolutely free of cost without any activation hurdles. But still some sad thing lies here. People having simple mobile phone running native browsers and opera mini cannot utilize this service at this time which Ncell has said because of technical difficulties but the privately owned Telesonera’s child telecom operator is providing facebook pack which can be accessed via all mobile handsets and browsers. How to ensure free version? To make sure that you are accessing the free version of Wikipedia from your internet browser, watch a “free access” banner the top of each page confirming freeness of the page. Surfing Wikipedia versions: m.wikipedia & zero.wikipedia are included on free access for Nepal. Wikipedia Zero is an initiative rolled out in 2011 & launched by the non-profit organization, Wikimedia Foundation under which partnerships are made with telecom service providers from various part of the world to waive data charges for accessing Wikipedia to their mobile subscribers. Wikipedia Zero works in the same way as Facebook Zero, offering low cost for accessing certain popular websites. The service has been so far launched in more than 16 countries. With the view of expanding the free knowledge on Wikipedia, special version of wikipedia.com is launched which can be accessed through zero.wikipedia.org which is a light weight text-only version of the Wikipedia mobile site. Today’s news means that almost half-a-billion people worldwide now have access to free Wikipedia on their mobile phones. The Foundation has estimated the benefit for the telecom service providers under the partnerships that 28% of existing readers would be more likely to buy service from the operator. The full list of telecom operators launching the program can be accessed through here. Hope the largest and state owned telecom operator, Nepal Telecom (NT) will also join hand on this project soon.